- Students who have a GPA of 2.0 or above for the current term and for all other terms are in Good Academic Standing. Students must have a 2.0 or better to graduate. Academic Warning - Students with a term GPA below 2.0 will be placed on Academic Warning. Academic Probation - Students who have completed two for more terms at OSU and have an OSU cumulative GPA below 2.0 will be placed on Academic Probation. 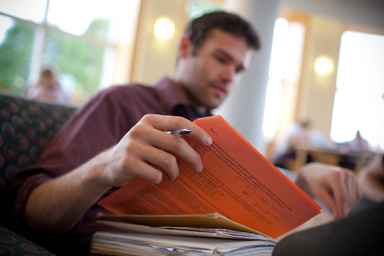 Students who attain a cumulative OSU GPA of 2.0 or better are removed from Academic Probation. Academic Suspension - Students who are on Academic Probation and have a subsequent term GPA below 2.0 will be placed on Academic Suspension. Academic Suspension is recorded on the student's academic record. Students who are academically suspended are denied all the privileges of the institution and all organizations in any way conncected with, including a University-recognized living group. Reinstatement - Suspended students will be considered for reinstatement after two years or completion of a minimum of 24 quarter credits of transferable college-level work (this does not include repeats of OSU classes) at an accredited college (usually a community college) or university with a GPA of 2.5 of above. Academic Success(ALS 116) - It is designed to help students become a more effective student. Students can enhance their study skills, learn to balance work and recreation, and discover their academic potential.